Now, here are some exciting news! We decided to partner with an amazing service that will allow us to be available to you, our customers in real time! The service is called Instaply and they are making it possible for us to communicate like friends - via text on their platform. The app is easy to set up and use and it is available in the App Store/Google Play. We can't wait to connect with you on a more personal level and offer you our assistance in any stylish life's event. Whether you need to schedule an appointment with us, inquire about our process or you need an advice on what to wear, we are here for you! 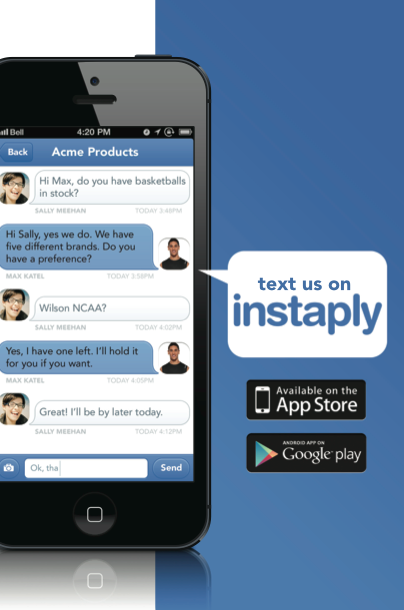 Simply Instaply Us and you'll hear from us in a heartbeat! Posted on May 9, 2013 by Jerry Folly-Kossi.